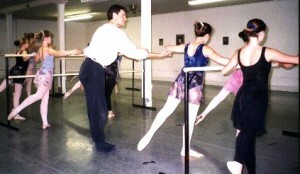 Brad Parquette of the West Virginia Ballet instructs a master ballet class. Daniel Watts, who appeared on Broadway in the original casts of The Color Purple , Memphis, The Little Mermaid, and is currently in the Broadway show In The Heights, instructs a tap class at Ballet Arts Guest Artist workshop. Tommy Bracco: Newsies (Original Broadway Cast), High School Musical and Beauty and the Beast (national tours) teaches jazz at the annual Guest Artsist Workshop. Ballet Arts Company members enjoy a master class taught by Kathryn Sullivan of STEPS. 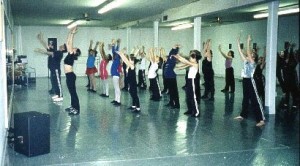 Kurist Overby, of the Arizona Broadway Theatre, in a choreography session for ‘All Stars’ Company members. Swing Class instructed by Chris Smith of Hollywood Vibe. Dana Davis of the J.D. Project instructs a modern technique class. 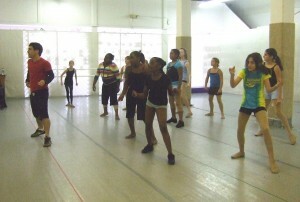 Robert Alvarez instructs a master jazz class.